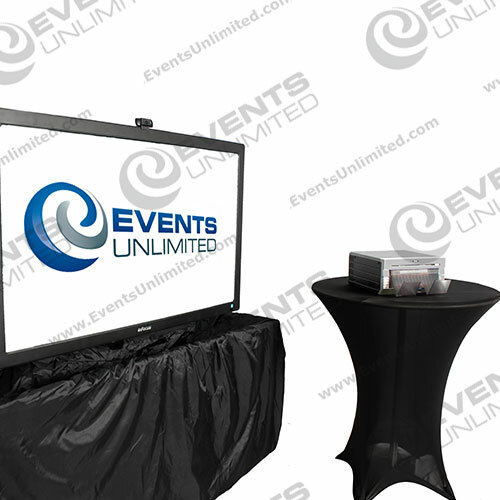 55″ Interactive Touch Screen television screens- loaded with a fun interactive photo booth software! 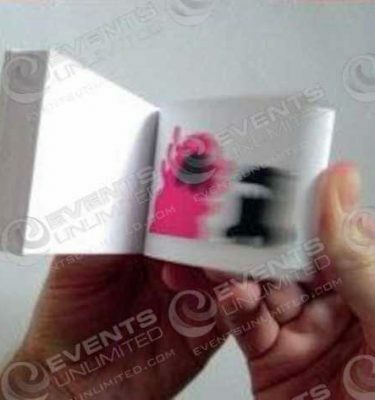 Your guests will love the interactive features of these huge graffiti touch screens- they will take a picture, draw on the picture, drag and drop fun shapes and icons, set filters and effects- and send the finished photo to themselves via email, or share with friends via a variety of social media outlets. 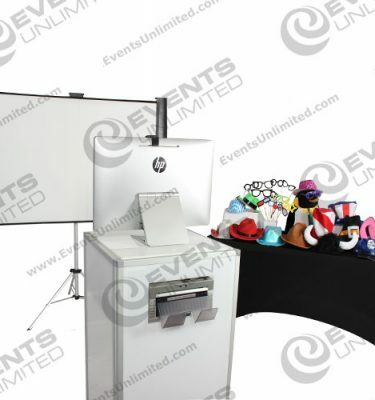 If you are looking for true interactive photo booth entertainment- then our graffiti touch screens are the best choice for your event. We are able to customize your rental to include backdrops, logos, or just about anything you want. In addition, these 55inch touch screen systems are loaded with Windows 8- and are available to rent individually for presentations of all types. 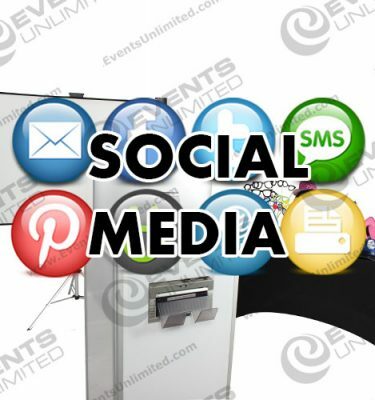 For the best in photo entertainment- you can count on Events Unlimited. We have a huge resource of photo entertainment options to offer – from photo booth rentals, to photo flipbooks, green screen photos, old time photos, and all kinds of fun themes to work with. 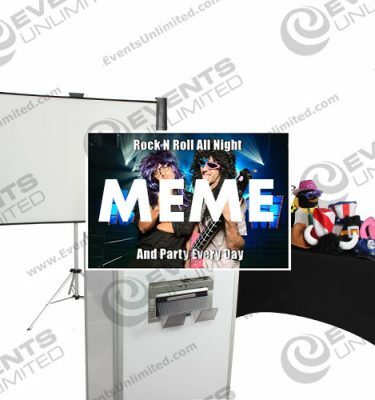 We have a variety of other party rental and entertainment options to offer as well- all your event rental needs, from one reliable source.